Can I change the size of a wig to suit my head? Yes, all our wigs can be adjusted to the size of your head. By adjusting the straps on the side of the wig to either make it smaller or bigger. Can I wear my wig straight out of the box? We would advise customers to shake out there FRIKA wigs as unwanted creases can occur due to the wigs being tightly packaged. To remove these creases spray water onto the affected area, shake it out and let the wig dry naturally. How do I clean my wig or hairpiece? Fill a basin with lukewarm water.Add a small amount of FR!KA shampoo, drop the size of a R5 coin. Swish the wig gently in the basin. Rinse thoroughly in cool water. Shake out and hang to drip dry. Do not brush, blow dry or heat style while wet-this can permanently damage the Fibre. Is Human hair always better than synthetic? Not always, it is a personal preference and depends a lot on your lifestyle and budget. 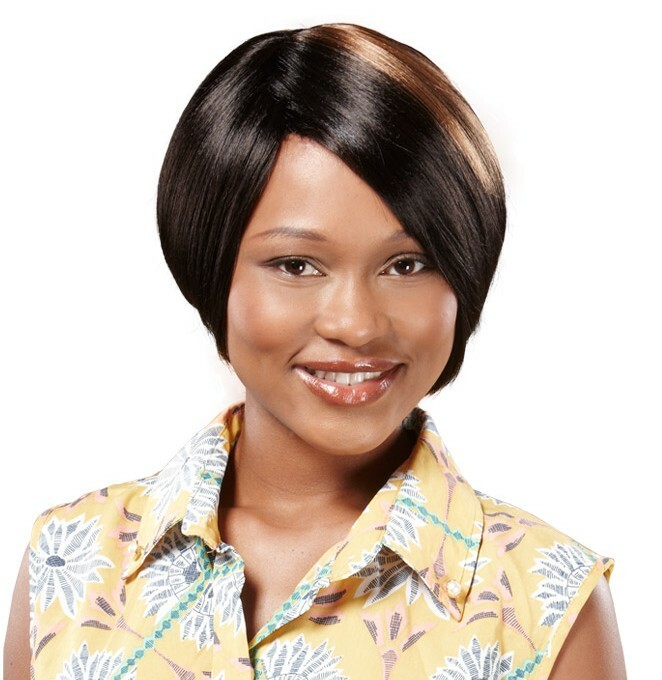 It is important to understand the differences, if you are looking for a wig that is easy to maintain and less expensive, then a synthetic piece would be a good choice. If you are planning to wear the piece everyday and would like to have the option to curl the piece then a human hair piece would be the best choice. You should allow a synthetic wig to dry naturally. To restyle a human hair wig you can use a low heat hairdryer or steam rollers. How can I tell the quality of Human Hair? Suprisingly, it not simply by touch and feel. Human hair might feel soft and delicate on first touch, but many times manufacturers coat human hair with silicone which coats coarse, overbleached, brittle hair and makes it feel soft. However poor quality hair typically shows up after your first or second wash, once the silicone has washed off. When using Human Hair try and stick to one supplier that you can build a relationship with the supplier; of course we would love you to choose FRIKA! Why is it so difficult to get consistent quality human hair? Human hair quality if different because of the nature of whence it comes. Since humans are different so are there hair. However, human hair can be processed badly and that can turn good hair into bad.